Want to connect LEGO Mindstorms NXT motors or sensors to your own custom-made Printed Circuit Boards (PCBs)? These are the same custom, injection-molded NXT-compatible sockets that are used in the Bricktronics Shield, Bricktronics Megashield, and the Bricktronics Breakout Board, but now available separately, for integration into your own PCBs. To add this socket to your PCB design, you first need a footprint. 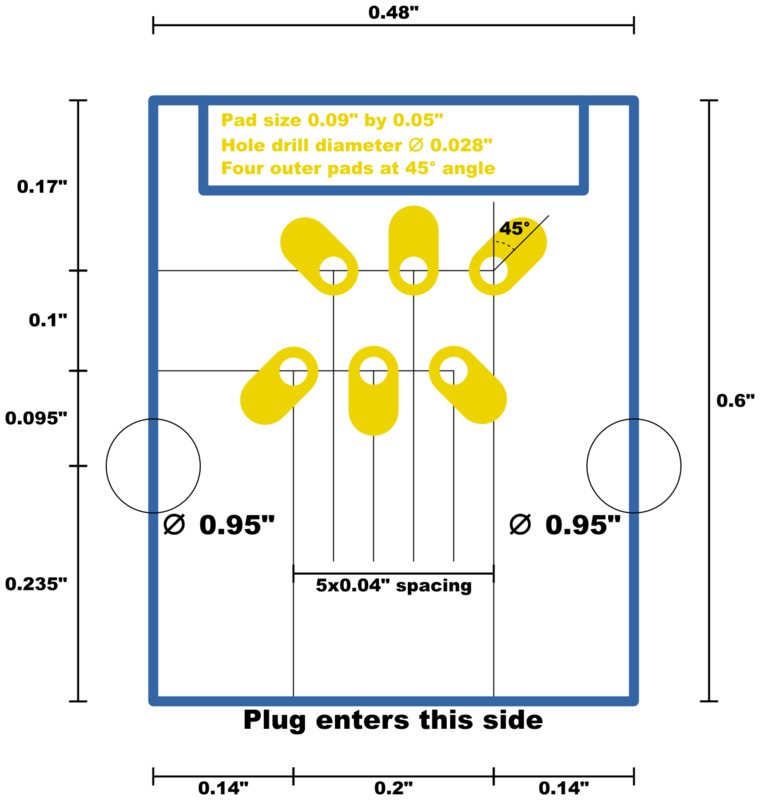 Fortunately, we have created a nice diagram showing the outline of the socket, the locations of all the holes, and suggested PCB pad size and orientation. You can also download the PCB design files for the Bricktronics Breakout Board from the Bricktronics Downloads page, to see how we designed our footprint.